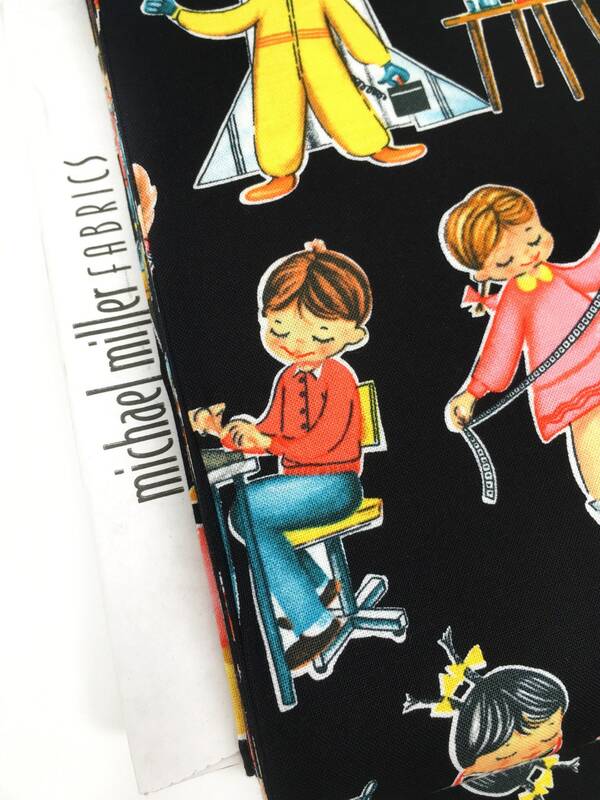 Michael Miller children's fabric from the You Go girl collection! 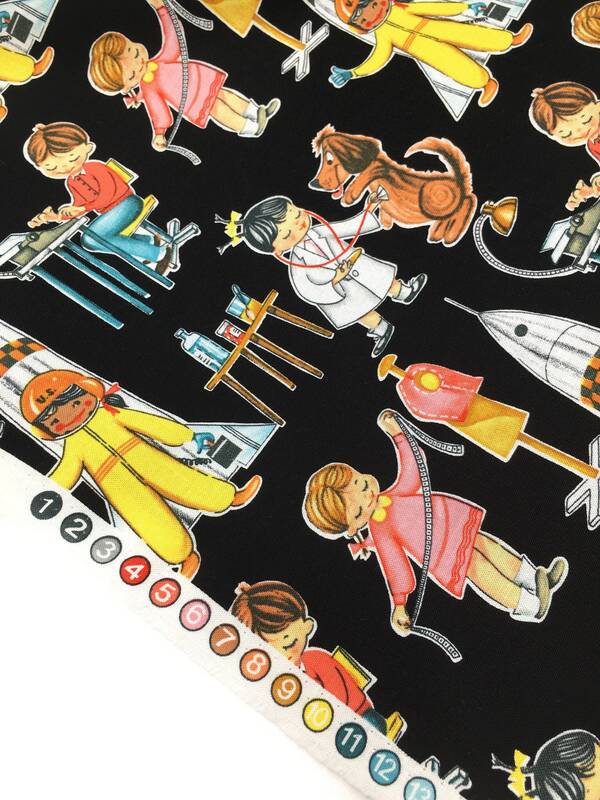 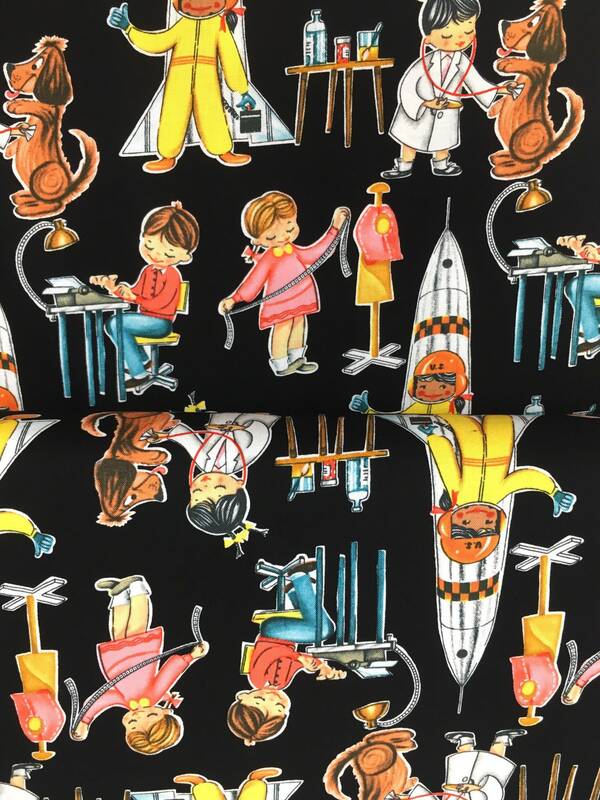 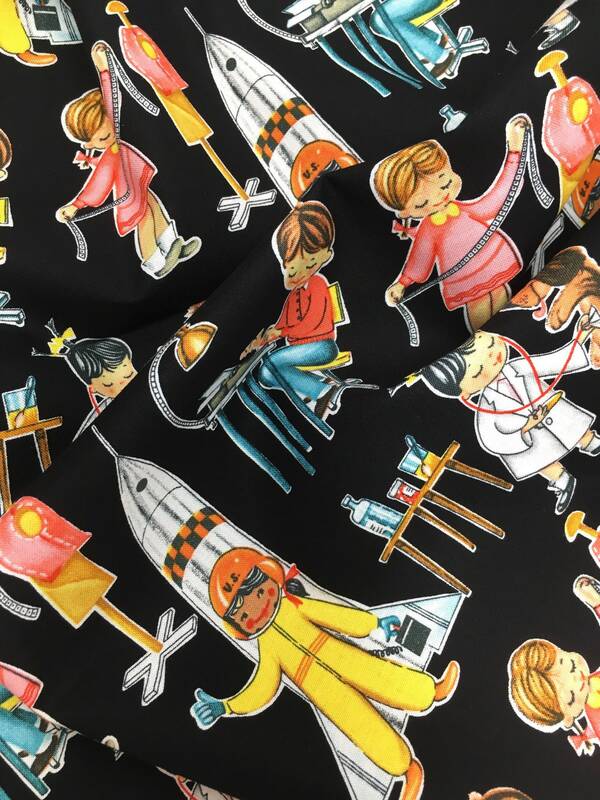 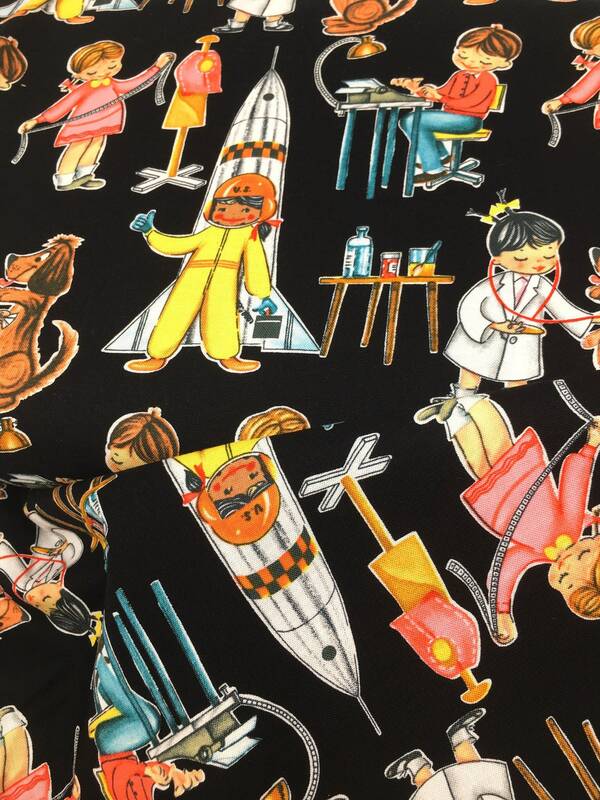 This stunning black 100% woven cotton features images of children in their dream jobs, perfect for aspiring vets, designers and astronauts! 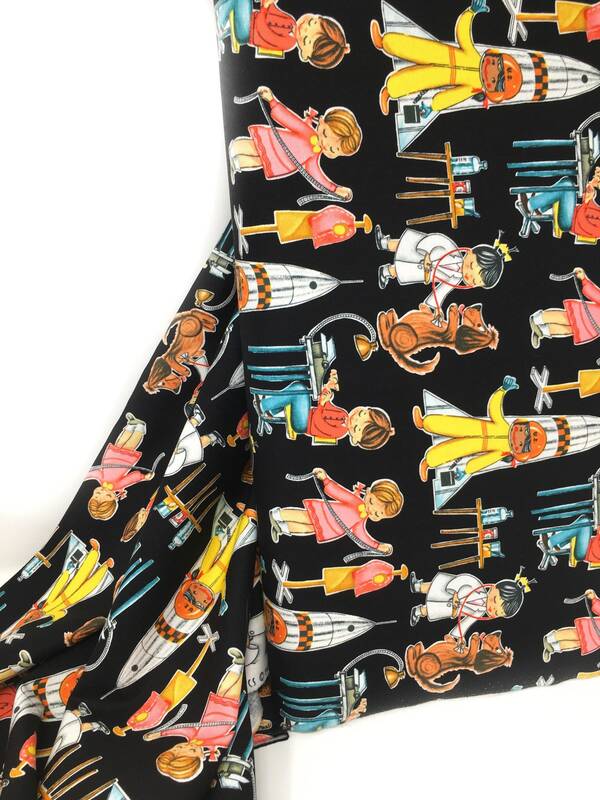 This cotton fabric measures approx. 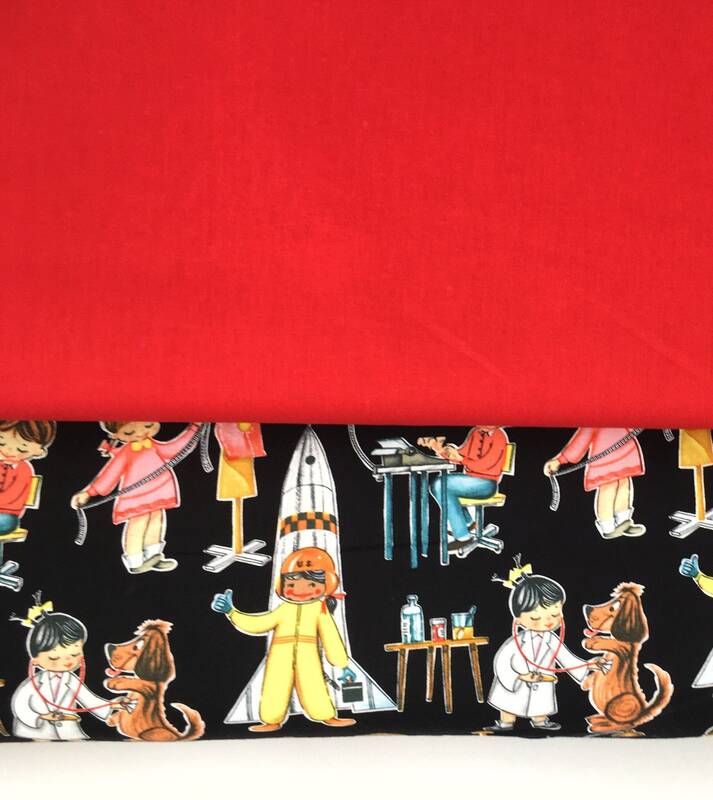 44 inches/ 112 cm wide and is 100% woven cotton. 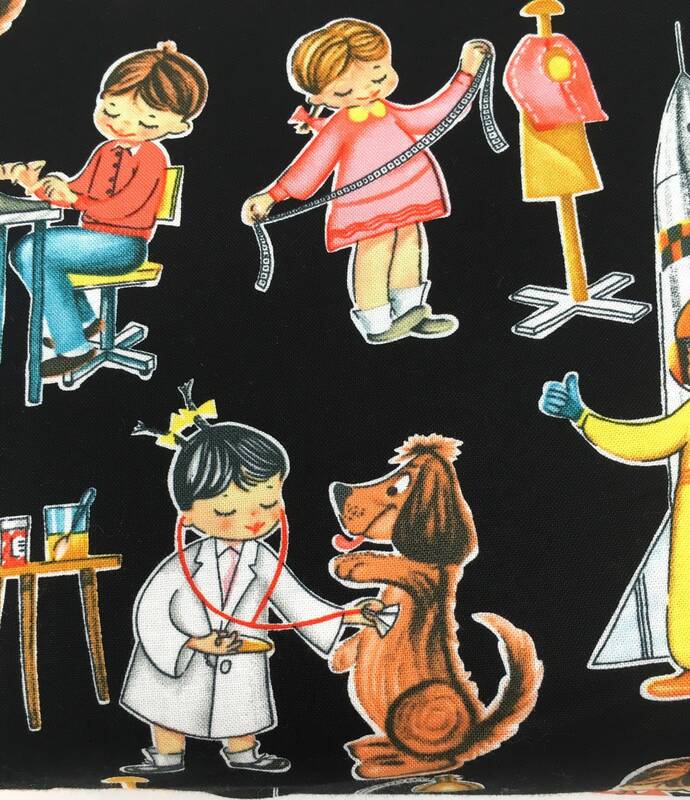 The little girl dressed as a vet with the dog measures approx. 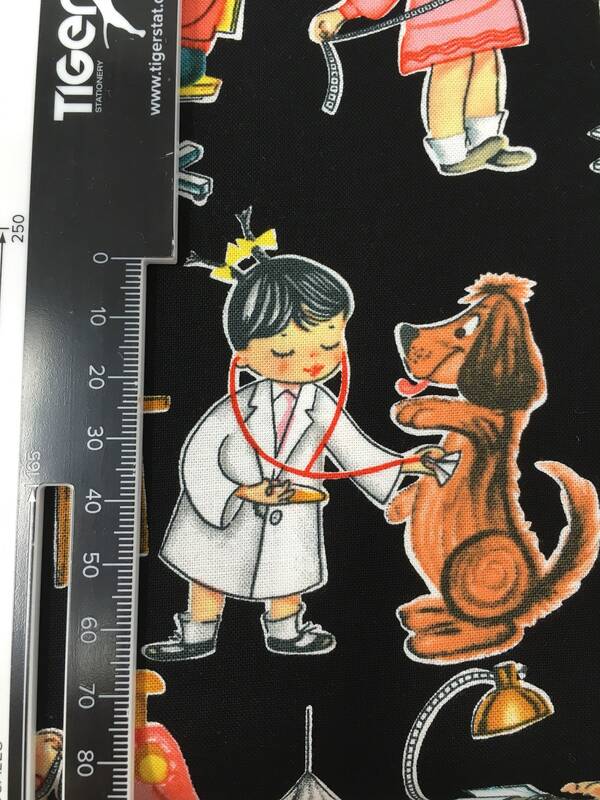 6.5cm tall.